We’ve featured a few Kickstarter cycling projects in recent weeks, from the board game to the folding electric bike, and there’s plenty more that are looking for funding. Here at CW we are always on the lookout for great new bike technology, but also the weird and wonderful cycling-related products that are trying to hit the market. Here are five Kickstarter projects that have caught our eye for being either great or ridiculous. In those early days of using clipless pedals, almost every cyclist has experienced a few teething problems – normally culminating with a hairy moment at traffic lights when you topple sideways off your bike. But David Williams of Salt Lake City, Utah, is searching for people to back his magnetic pedals, which aim to eliminate the problem of clipping in and out whenever you need to. 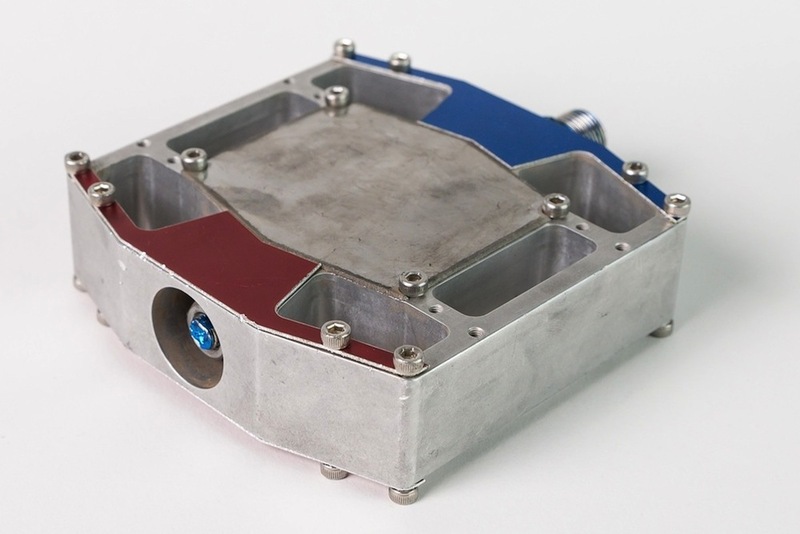 At 770g per pedal, it’s unlikely this idea will be a hit with road cyclists, but Williams says he’s working on creating a lightweight version to appeal to all. This one certainly falls under the ‘weird’ banner. Mary Johnson is attempting to bring her two-tone bike cover to the UK market, but with just three days to go she’s some way short of her $35,000 target. 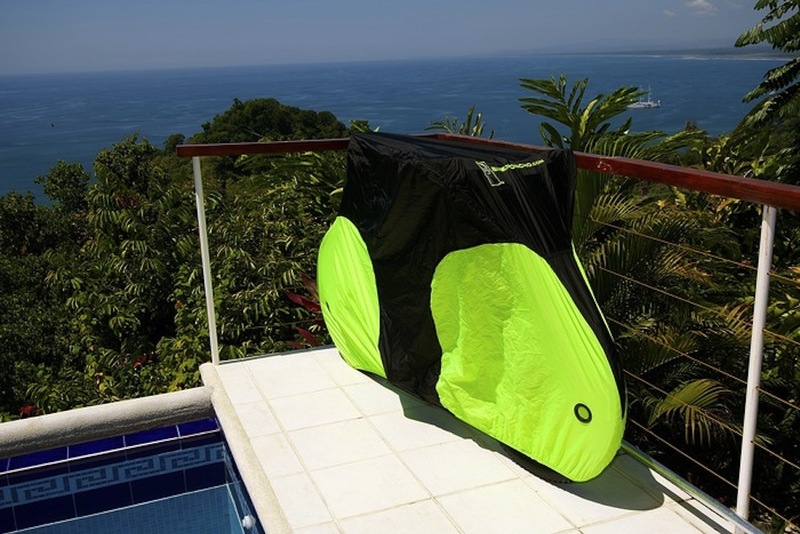 The Bike Poncho is exactly that – a poncho for your bike to keep it dry and protected when it’s not in use, folding up neatly into its own pouch which can be attached under the saddle. It’s a good idea in principal, but having to pledge $100 in order to actually receive one of the poncho’s seems a bit steep. This is another odd one, but it has already smashed its $45,000 target with nearly $95,000 pledged at time of writing. 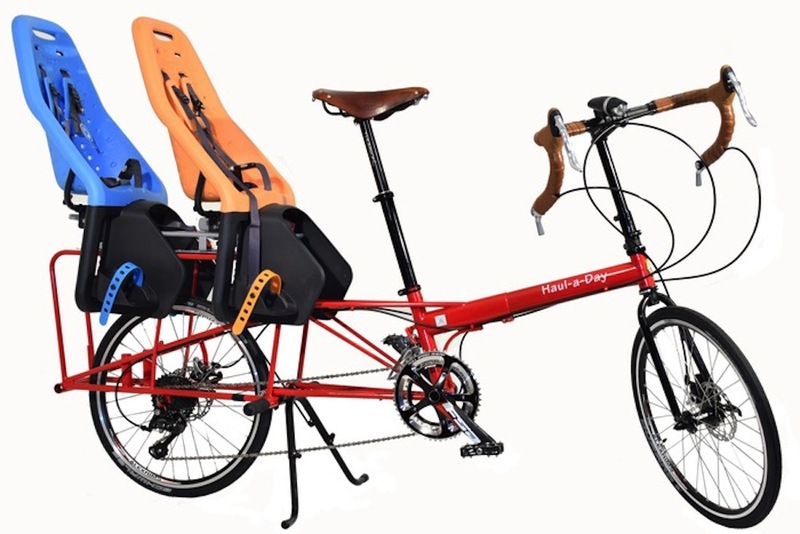 The Haul-a-Day is basically an extended bike, with room over the back wheel to transport all sorts of goods, including children and Christmas trees, according to the Kickstarter page. The unique selling point of the bike is that it is adjustable in size, making it perfect for all of the family to share, fitting riders from 4’6” to 6’4”. While it doesn’t look the most comfortable for the children sitting in the back, it does look excellent for carrying large trees and even wheelbarrows. Designed in London, manufactured in Cornwall – the Dappercap has a very British feel about it. 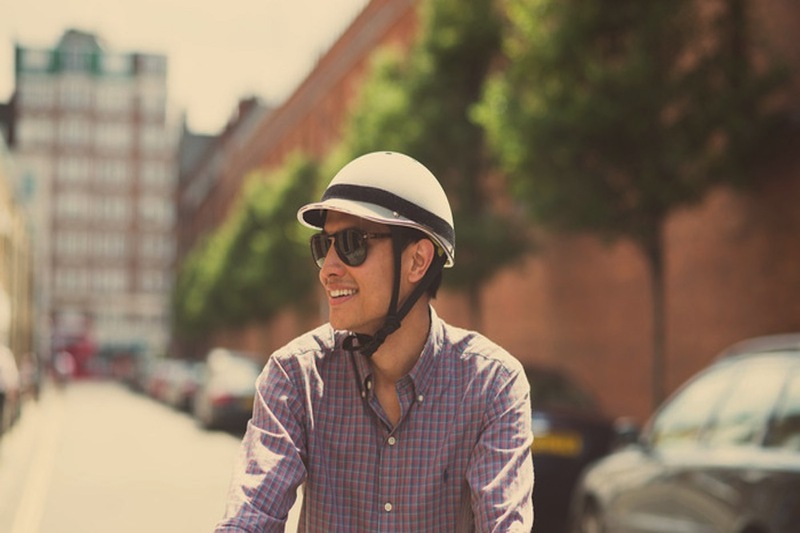 Designed for the fashion-consious urban cyclist, the new helmet design is sure to appeal to those who use their bike to pootle around town. Everything is made by hand from high quality materials, but the project initiators Catherine Bedford and Simon Parker are some £18,000 short of their £38,000 target. 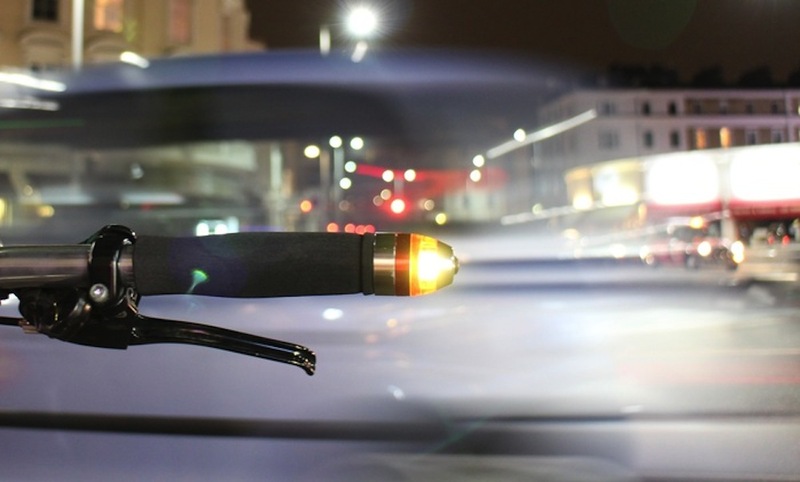 London company Cycl have produced these indicators that can be attached to the handlebars of mountain and hybrid bikes to show other road users where you intend to go. Simply tapping the end of the handlebar will set the indicator flashing, while tapping again will turn it off once you are finished with your manoeuvre. The project has already well exceeded its £8,500 goal, breaching the £10,000 mark with 16 days to go. Pledging £19 will get you some Carbon Black WingLights when they are released in May. Cycling Party board game aims to bring the excitement of cycling with the enjoyment of strategy games.